lola's secret beauty blog: L'Occitane Mother's Day Gifts, New Products and Things You Just Can't Live Without! 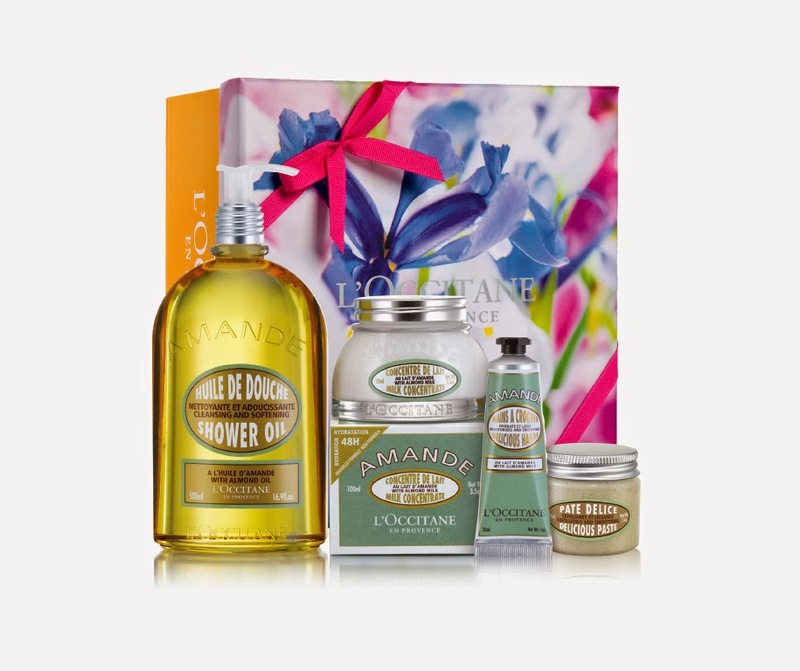 L'Occitane Mother's Day Gifts, New Products and Things You Just Can't Live Without! From Mother’s Day gift sets, new launches in body, fragrance, skincare and wait for it--COSMETICS!, there’s something for everyone. L'Occitane has a lovely selection of gifts for Mother’s Day, or anyone on your list (this of course includes shopping for yourself)! L’OCCIBOX # 2 is a $20 sampling box (a $50 value!) that offers shoppers mini and full size versions of the latest and greatest L’OCCITANE products, once per season. 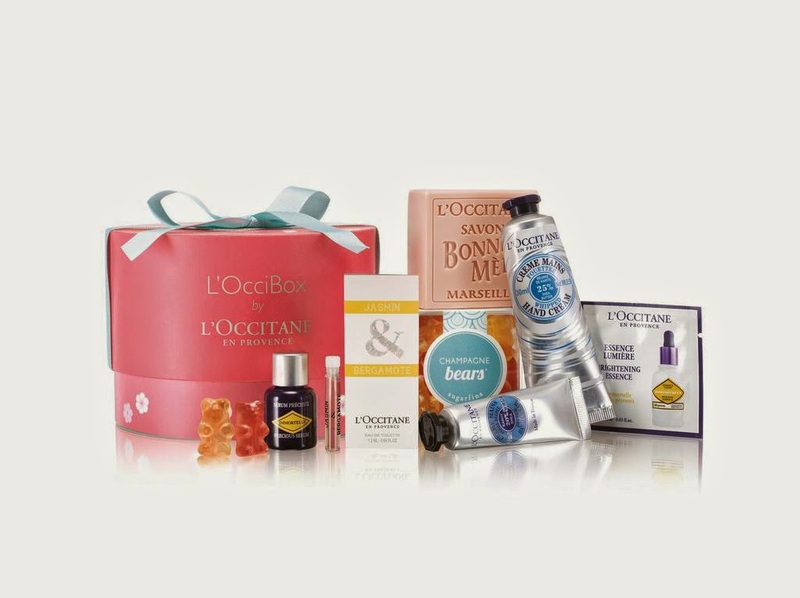 You may remember our first box, but each box debuts a beautiful, unique, pre-selected assortment of L’OCCITANE items along with an exclusive gift from our special partner- Sugarfina Candy! NEW! Immortelle Precious products this Spring, we introduce four new products to this preventative anti-aging collection- a Precious Mist ($16), an Oil Make-Up Remover Cleanser ($28), an Intense Cleansing Foam ($30) and three Precious BB creams ($45)-that will help cleanse and hydrate to reveal more radiant, youthful skin. NEW! La Collection de Grasse - Iris Bleu & Iris Blanc scent and adorable hand creams a precious, velvety floral scent of blue and white iris from Grasse, in an Eau de Toilette ($78), Body Milk ($25), Shower Gel ($20), Perfumed Soap ($7) and a Hand Cream ($12). Plus two new 30ml hand creams: Jasmin & Bergamot and Neroli & Orchid ($12 each). Mother’s Day Gift Sets are beautifully packaged and ready to gift sets ranging in price from $21 to $186. Take a peek at the beautiful gift sets here. Peony Skincare and Body Care Collection (launching May 11th): This May we are re-launching our Peony body care line and introducing never-before produced skincare and COSMETIC products (like CC cream & lip balms!). Formulated with propriety peony extract, the new collection will focus on ‘perfecting skin’ by helping to visibly correct uneven textures and minimize the appearance of fine lines and pores for simple, natural beauty. Press Release Courtesy of L'Occitane (Affiliate Links).